These 2 shooting with conditioning drills are provided by our partners at Dr. Dish Basketball. Like all drills that you see, you can either modify it or take parts of the drill for your use and your needs. 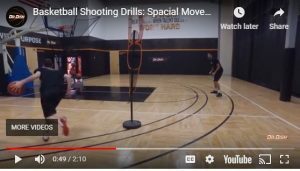 These drills are You Tube videos, so you will need to be on a server that allows you to access You Tube to see the drill.